Merely few years before Louis Vuitton was founded in Paris in 1854, a 17-year old François Goyard started his carrier as an apprentice at the House of Martin, specializing in box-making, trunk-making and packing, founded in 1792 and located on 233 rue Saint-Honoré since 1834. 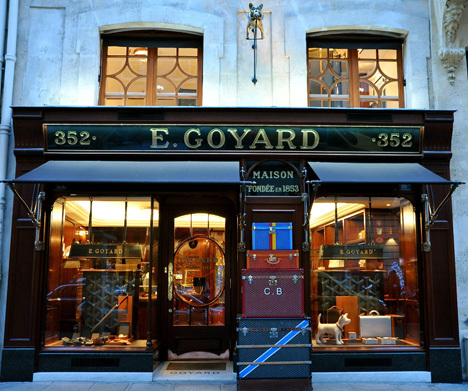 Less than ten years later, in 1852, the House would be taken over by Goyard and acquired later his name. The main focus of the company has always been on the delicate art of garment folding and packing than on container making as such. Goyard store on 233 rue Saint-Honoré. Source: Google. Under the government of François’ son Edmond the store on rue Saint-Honoré turned into an increasing elitist institution with an international clientele such as Jacques Cartier, Rockfellers, the Romanovs, Estée Lauder, Coco Chanel, The Duke and Duchess of Windsor, Jeanne Lanvin, Cristobal Balenciaga and Karl Lagerfeld. The latter has an account at Goyard since 1972. Furthermore, Goyard participated in an amount of World Exhibitions, including the Exposition Universelle of 1900 in Paris. 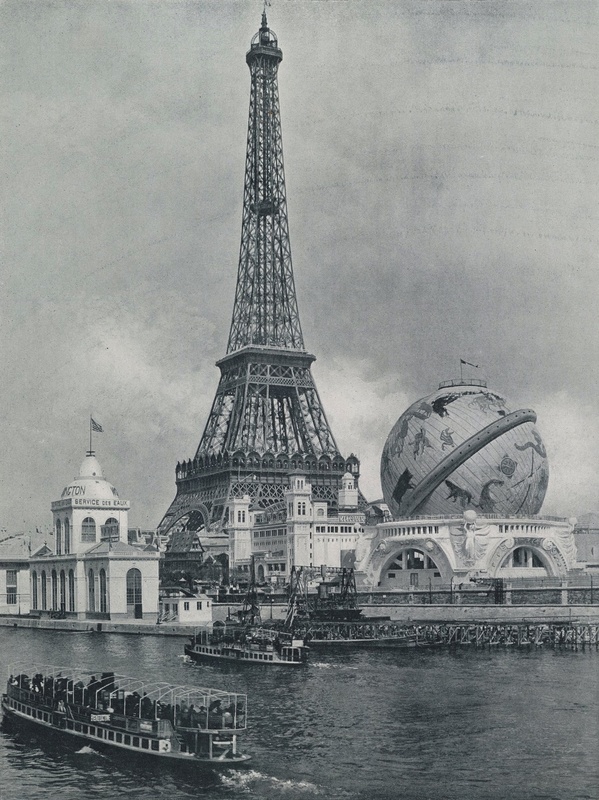 The Exposition Universelle of 1900 in Paris. Image: Google. The company stayed within Goyard’s family till 1998, when it was sold to Jean-Michel Signoles. The new owner established a new workshop in order to control the strictly confidential manufacturing process, what in his view is the key to achieve excellence in craftsmanship. On its web page the company saying itself disregarding marketing and mass production. Thus there is no online shop, no Instagram account etc. However, Goyard according to a statistic research published on www.recked.com, is the only brand whose resale value exceeds the retail price with 30 percent (total 130 percent), when it concerns handbags. Chanel reaches around 85 percent of the retail price, while Louis Vuitton gets around 70 percent. The question is how Goyard’s products have maintained their mysterious status of high market value, while any marketing is disregarded according to the company. 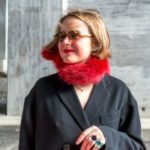 Instagram today, according to Eva Chen, is the most relevant social platform for luxury brands. It becomes clear when it concerns Balmain but turns into a mystery when it comes to Goyard. Looking back at the history of the brand, it immediately becomes obvious that Goyard is a molecule of heritage where unique craftsmanship, surrounded by secret privacy, and timeless luxury, fed by the illustrious clientele, are its atoms. There are only three stores in Paris, one in London, there are some in the United States of America and there are a few in Asia. Consequently, it limits more or less access to the new products and thus creates a customer desire, what in its turn stresses the positioning statement of the brand as luxurious and exclusive and stimulates the resale value. The strategy as such resembles a certain marketing plan – marketing by disregarding any of the latter. Like a game of chess. Instagram contains dozens of accounts with the word “Goyard” included – customers are taking the luxury out into their own space by doing their own marketing. In 2010 Goyard published an art book dedicated to its history in a limited edition of 233 numbered copies corresponding to the address of the historic store since 1834. Suzy Menkes hailed the book as “The Luxury Bible”. According to information on the web page the book will never be republished again and can be shown at the store by an appointment only. However, one of the exemplars is also featured in the collections of the National Library of France, the Bibliotèque des Arts Décoratifs in Paris and the Kunstbibliothek in Berlin. 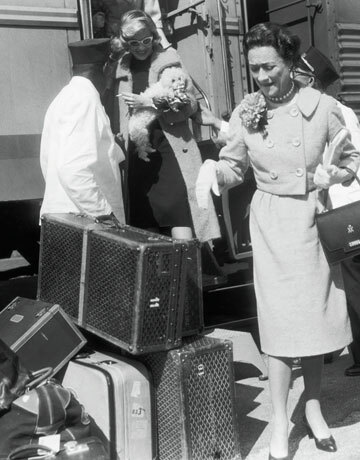 Thus Goyard is not just a brand with a long history but a part of the identity of the fashion capital – Paris. By purchasing a piece by Goyard we acquire a tiny atom of the unique history of Europe with its art revolution, two World Wars and a lot of other political vicissitudes. And we – customers – want to manifest our Goyard purchase by means of social media etc. Will the brand in such a case stay unique for a while or will we soon observe the Goyardine appearing down town next to its younger brother Louis Vuitton?